It’s beginning to look—and taste—a lot like Christmas around our house. The tree is up, the lights are twinkling, and Pandora is playing my favorite Christmas carols. I’m sipping on a piping hot mug of Dark Chocolate Peppermint Mocha and my heart is happy! 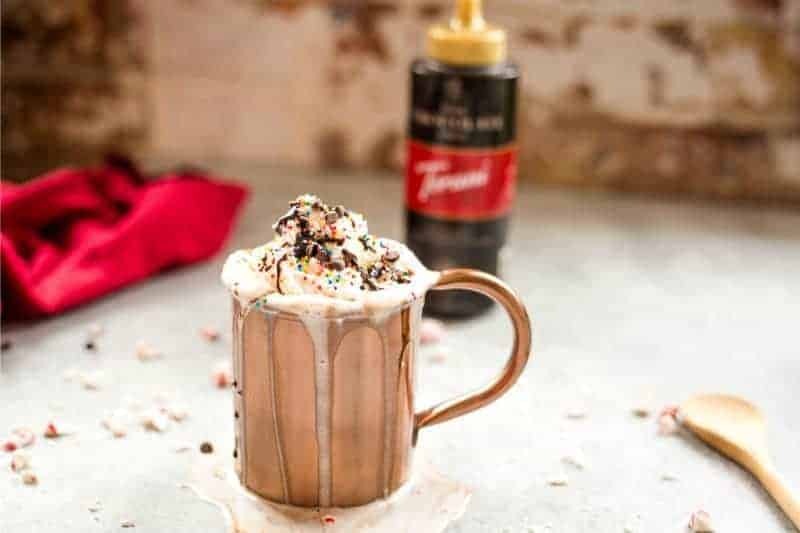 You can make this festive holiday coffee drink at home with steamed milk, Torani Dark Chocolate Sauce, and Torani Peppermint Syrup in just minutes. 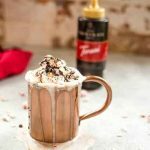 I like to add homemade whipped cream for a little extra decadence, but frothing the milk is also a great way to serve and enjoy this peppermint mocha coffee recipe. Hot Chocolate. Hot Cocoa. Mocha. One and the same or is there a difference? Actually, besides the chocolate flavor, these are totally different drinks. Hot Cocoa is made by combining cocoa powder with sugar and milk, so it is usually sweeter and not as rich. Hot Chocolate is made with melted chocolate and milk with no added sugar which results in a thicker, richer drink. Mocha is coffee made from mocha coffee beans which have a distinct chocolate flavor. Normally, an additional shot of chocolate syrup is added at coffee shops to enhance make the coffee even more chocolatey. This chocolate lover is totally on board with that! For the holidays, I love the combination of chocolate and peppermint flavors in just about any type of sweets, like these Peppermint Cheesecake Bars and Homemade Peppermint Oreos. 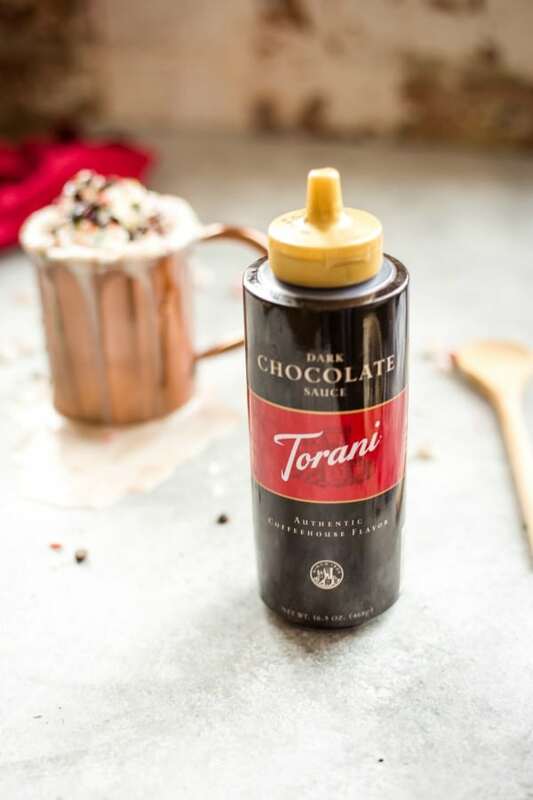 So, when I had the opportunity to create a beverage photo shoot during The Foodie Bootcamp in October with Torani Dark Chocolate Sauce, making a peppermint mocha was a no brainer! I love that making this special coffee drink at home only takes minutes using Torani Dark Chocolate Sauce and Torani Peppermint Syrup. These flavors are mixed with milk and heated until steaming. 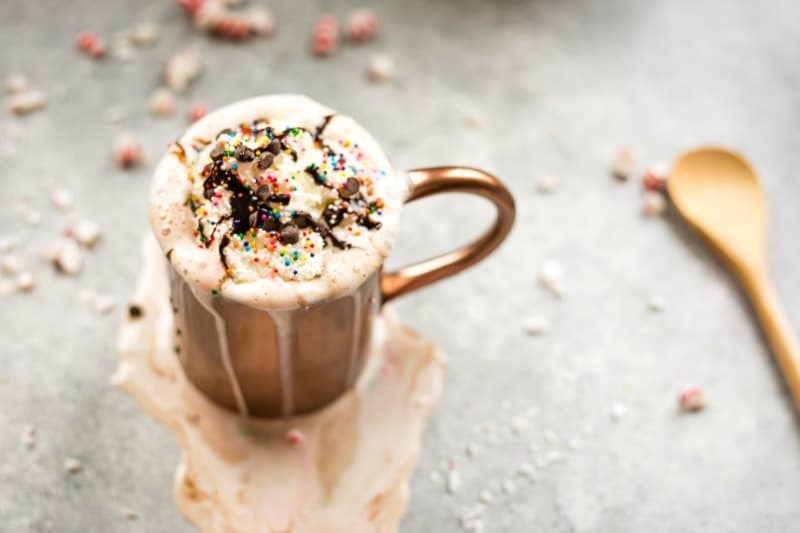 Add a shot of strong brewed mocha coffee and top with whipped cream and crushed peppermints, candy canes, or holiday sprinkles and you’ve got a fun, delicious drink for chocolate and coffee lovers alike! Make a Dark Chocolate Peppermint Mocha gift basket! Torani coffee syrups come in a wide variety of holiday flavors including peppermint, Italian eggnog, and gingerbread, and I personally think Torani syrups and sauces make an awesome gift basket item for the holidays. If you agree, I’ve put together a list of foodie gift items for a Dark Chocolate Peppermint Mocha basket. 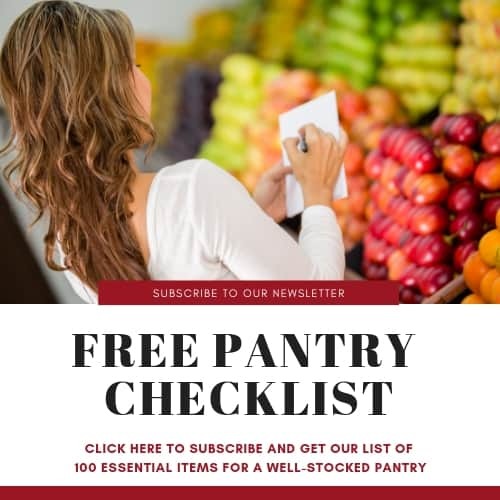 And, there’s a printable recipe gift card at the bottom of this post to include with the basket. I know I wouldn’t be disappointed to get one of these under my tree! A rich and decadent holiday drink, this recipe for Dark Chocolate Peppermint Mocha makes four servings and includes my favorite homemade fresh whipped cream. Of course, you can use canned whipped cream or skip it all together to save a few calories by using a milk frother to whip up the drink. The recipe/gift card includes instructions for making a single serving of the mocha for those times you want to treat just yourself! 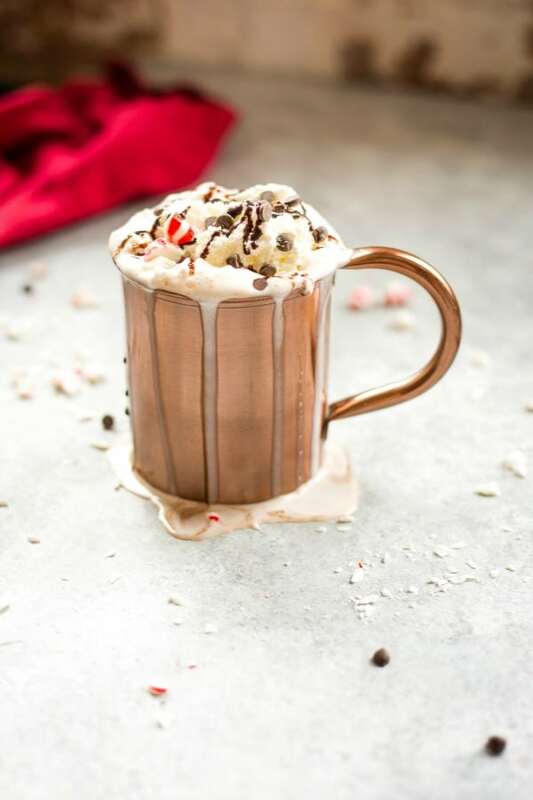 DID YOU MAKE THIS DARK CHOCOLATE PEPPERMINT MOCHA RECIPE? 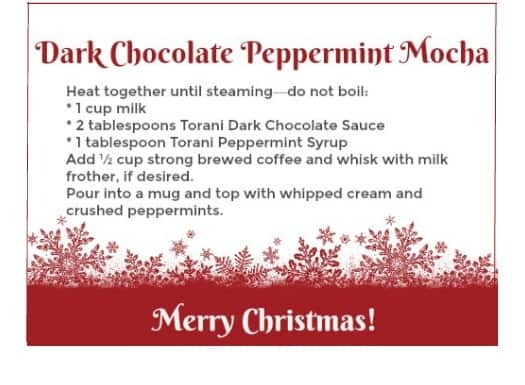 Make this festive holiday coffee drink at home with steamed milk, Torani Dark Chocolate Sauce, and Torani Peppermint Syrup in just minutes. 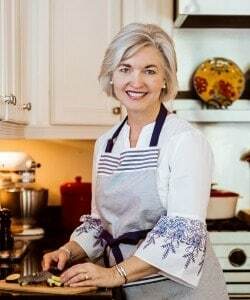 Add milk, Torani Dark Chocolate Sauce, and Torani Peppermint Syrup to a medium saucepan and heat over medium heat until milk begins to steam—do not boil. Add brewed coffee and pour into cups. If desired, use a milk frother to blow steam through the milk and incorporate air bubbles into it. Top each drink with fresh whipped cream and drizzle with more dark chocolate sauce. Garnish with crushed candy canes or peppermints, if desired. Place metal mixing bowl and beaters in the freezer for 15-20 minutes—very important! Add heavy whipping cream and sugar to chilled bowl and beat on high until stiff peaks form. Add vanilla and whisk just until incorporated. May chill in refrigerator until ready to use (up to 8 hours). Whisk again before serving. For a single serving: Heat 1 cup milk with 2 tablespoons Torani Dark Chocolate Sauce and 1 tablespoon Torani Peppermint Syrup. Add ½ cup strong brewed coffee and froth, if desired. ** To use a whipped cream dispenser with chargers, follow instructions provided with the dispenser.